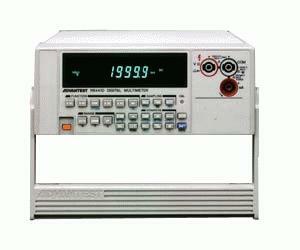 The R6441 series digital multimeters were designed for diverse applications. The series is provided with a variety of interfaces for use in R&D sections and production lines; it ensures battery operation for field applications. With dualchannel input and dual display, the R6441 series provides a new measurement environment. The series includes three models: R6441A low-price basic model, R6441B with enhanced AC measurement functions and R6441C with enhanced very small current and floating method current measurement functions. R6441B: Multi-functional DMM with Frequency Measurements.